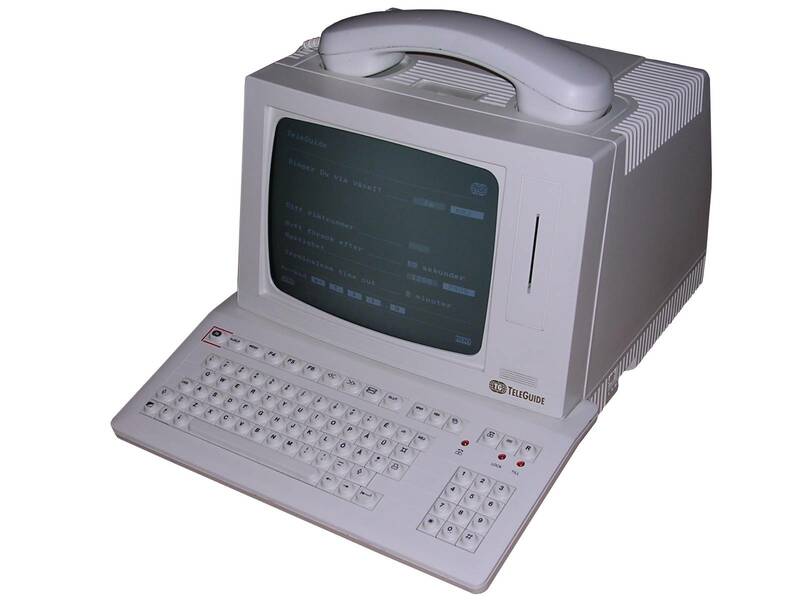 Teleguide was a Swedish telephone information network, like German Bildschirmtext or French Minitel. It was started by Televerket (Swedish national telephone operator), with IBM and Esselte co-operation as well as many other companies offering their services. It was developed since late 1980s, phase 1 has ended in 1988 with an experimental implementation of 100-terminal network in city of Vasteras. The site has been finally opened in 1991, offering simple information services, phone book, as well as messaging system first. Quickly, ticket booking, banking and some order services (like taxis or reservation) became available. Finally, it was even possible to put bets on horse racing, look for parts for a car (or used cars), or order a food with delivery in Stockholm. 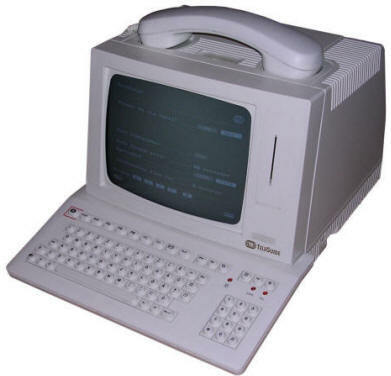 Around 10000 terminals and modem expansions for computers were distributed. Contrary to Bildschirmtext, using Teleguide was taxed per minute, not per page shown, in addition to monthly fee. After about 6 months the project has been halted, because it was found that for larger terminal number it will make too big losses for Televerket, even after increasing the monthly cost 3 times. To be exact, the loss started to increase with each terminal sold. In 1993 the project has been shut down and all services have been closed, consuming very high costs (according to some sources 2 billion SEK). The devices used for Teleguide were units mostly built to order in companies which made Bildschirmtext units, so they are similar. Some modems used Siemens parts, while the terminals were based on Loewe's design of Bildschirmtext clients (see Loewe Multitel). The biggest difference is the addition of a chip card reader, used to authenticate user's account. The reader components were not soldered in Loewe Multitel, here they are present. This reader works using additional module with own microcontroller connected to mainboard, the chip card goes entirely into slot and is popped out by electromagnetic mechanism when ordered to remove. Disassembly is as in Loewe Multitel, but the display component is mounted on 2 additional bolts and 2 screws on the rear of chassis have to be removed. The difference is also with power cable - the unit has 2-wire cable without earthing pin, probably not required in Swedish devices which were packed in plastic cases. Well, this network was so small that it's not easily possible to find much in English :). - https://sv.wikipedia.org/wiki/Teleguide - Swedish Wikipedia entry. - http://terminals-wiki.org/wiki/index.php/Loewe_TeleGuide - Terminal photos. - http://www.telo.se/telo/sites/default/files/881214-Teleguide_88-Rapport_fran_verksamhet_under_1988_0.pdf - Full phase 1 report from 1988 in Swedish. - http://www.telo.se/telo/sites/default/files/910201-Offentliga_tillampningar_i_TeleGuide_0.pdf - Public services in TeleGuide in 1991, Swedish.